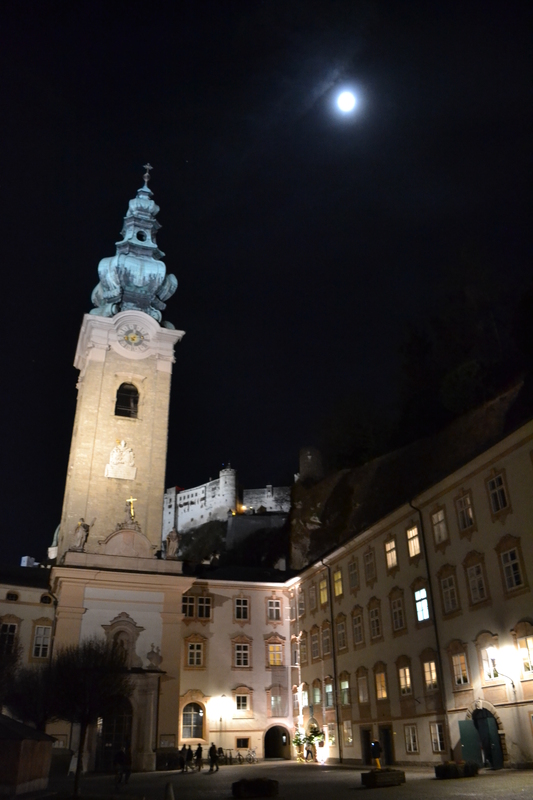 The moon over Salzburg and the Fortress Hohensalzburg, as the city prepares for Christmas Eve and Christmas Day. A Merry Christmas to you and yours, and all good wishes for a very happy New Year! Lovely pic. Happy Christmas, Ann. Austria and Germany are so beautiful at Christmas. I hope your holiday was wonderful. We had a great time, thanks. Austria is just fabulous this time of year . . . and any time of year!